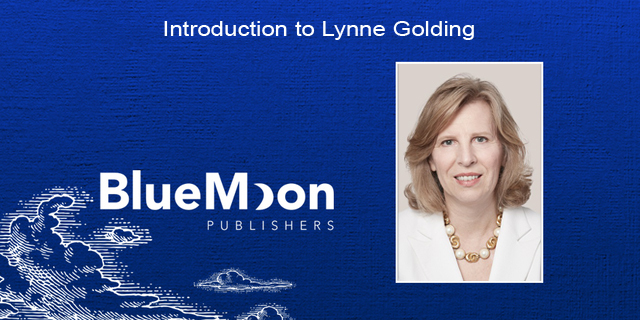 Join us as we chat with new Blue Moon Publishers author Lynne Golding about her writing process, writing tips, and her upcoming historical literary novel The Innocent, the first book in the Beneath the Alders series. What inspired you to begin writing The Innocent? In 2005 I read a great novel by a first time writer and I thought, if she can do that, maybe I can too. I started thinking about a subject to write about. So that’s how it began. As the years went on Jessie became less lucid; the stories she told receded further and further into her younger years and became very repetitive. Eventually I stopped writing them down but by that point I was well on my way with the book of which she is the protagonist. From where do you draw your inspiration for your vivid characters? The most vivid characters in Beneath the Alders are drawn from real life. Jessie, my great aunt, is the protagonist. We were very close. I would say that her character in the book conformed to her character in life. That being said, I am sure she would say that I made her out to be a much better person in the book than she actually was. Most members of Jessie’s immediate family were presented as they were known to me in life or as relayed to me by her. Aunt Lil is likely more zany in the book than she was in real life, and Jessie’s father was likely more contrarian in the book than he was in real life. The Beneath the Alders series also includes a number of fictional characters. Many of those characters were inspired by friends and family dear to me. In the third book, you will meet Henry. He was inspired by a certain film character. I will let you see if you can name him. Which aspects of the writing process come most naturally to you? The initial drafting. Give me a keyboard and a screen and stories emerge; stories that I haven’t even formulated in my mind. What does your writing routine look like? I don’t have a routine per se, but the way I write may be unconventional. It took me a LONG time to write the Beneath the Alders series. I conceived of it around 2006. I spent a year noodling away at chapters in no particular order. I spent 2 years doing nothing but research and then a year creating a very detailed outline. I completed the first draft of the entire work in the summer of 2014. So it took me about 5 years to write 300,000 words (all three books). Why so long? Because I could only write on my holidays! And even my holidays were busy with other activities. Usually I would put in a few hours each morning. On a good day, I would put in a couple of hours in the afternoon. The exception was editing. I could edit whenever I had a spare couple of hours, but the real writing, I could only do that when I had big blocks of time and I only had that while on holidays. Have you had anything published in the past? Are you working on writing anything currently? My prior publications are of the legal type. I am a lawyer and have written a number of articles about legal issues pertaining to health care in Canada. I confess that writing historical fiction is much more fun than writing about legislation! Beneath the Alders is a series of three books. The two sequels to The Innocent are largely written, but I am currently working on their completion. Also, there is a possibility of a backstory book for which I have some content developed. That’s on my to-do list too. What have you learned through your writing? Really—how much I love it. I love the feeling of creating something and I love the places the creation takes me. There were days when work was hard; the kids were demanding; my husband was away; and I thought: just get me back to 1912. On days like that whether it was research, writing, or editing, I loved being back in the time and with the characters I was then writing about. Escapism at its best! I am very proud of Lynne, my best friend’s daughter. I knew her before she was born and watched as she developed into smart and wonderful woman, her climb in the legal field and now her writing abilities. I was given the opportunity to read as the chapters came out and I was so impressed with her writing prowess. I’m so looking forward to the book launch and the start of a whole new career for this wonderful person who I love a lot. And, I met Lynne and her family under the auspices of John McDermid and I too am a huge fan! Lynne, congratulations on another achievement in your life that, not surprisingly, started with your love, interest and respect for family.